How effective are letterbox drops? 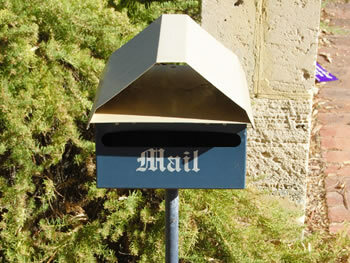 A: Australia has a unique tradition of household letterbox distribution, which outstrips many other media options in cost effectiveness. The biggest users of letterbox drops are retailers who know how powerful home delivered catalogues can be. Other forms of advertising through the letterbox that are cost effective and give a solid return on investment include personally addressed and unaddressed direct mail. A recent study by the Australian Direct Marketing Association (ADMA) into consumer attitudes to direct marketing, showed that consumers rated unaddressed mail (such as flyers/leaflets) as their most preferred method of receiving marketing information from local businesses (31 per cent) and retailers (31 per cent). However, when considering the response rate to a leaflet drop, there are many variables that affect response rates to a campaign, from the creativity, the offer, the targeting and more. In your situation, 125 leaflets is considered a very small sample size and a lot would depend on the content of the flyer. For instance, does it grab customers’ attention? What is the offer? The slow housing market is also likely to impact on response rates, as would the area in which the flyers were dropped. The ADMA research also found 74 per cent of consumers were happy to receive direct marketing approaches when the approach was relevant; when it was from a company they had an existing relationship with, or a brand they knew and trusted; and when they had control over whether they received the information or not. If these three elements were not present, then the response to any communication was more than halved. So, to help ensure any future leaflet drops have a good chance for success, you should carefully consider these elements and the other variables that will impact on your campaign such as good creativity, great offer, sufficient sample sizes and the right targeting.